As Valley View recruits more nursing staff to meet the growing demand for healthcare services in the region, they can now count the Pathway to Excellence designation for nursing as one of the many benefits to working for a non-profit community hospital in a mountain town. 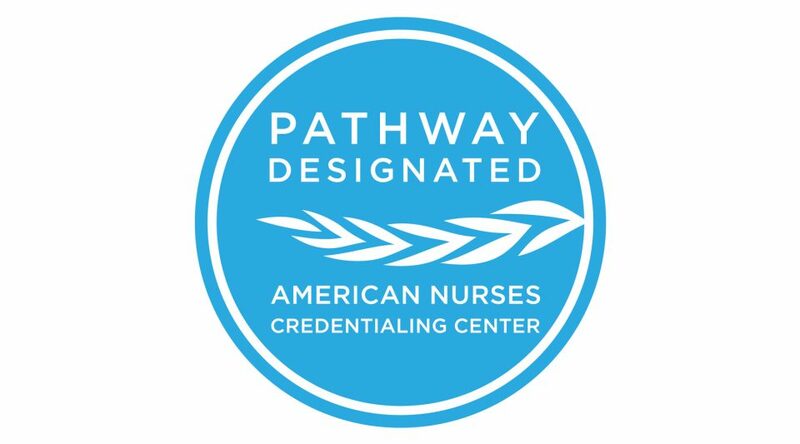 The American Nurses Credentialing Center’s (ANCC) Pathway to Excellence program recognizes a health care organization’s commitment to creating a positive practice environment that empowers and engages staff. The program represents six standards of a professional and positive practice environment: shared decision-making, leadership, safety, quality, well-being and professional practice. By investing in the optimum workplace for nurses, organizations demonstrate a culture of sustained excellence, resulting in the successful recruitment of top candidates and staff retention through high job satisfaction. Earning the Pathway to Excellence designation was a two-year endeavor for the nursing staff at Valley View. The application was over 1,200 pages long and included over 50 writers, including direct care nurses, nurse leadership and interdisciplinary partners from across Valley View. The final stage in the designation process was a survey of all Valley View nurses to validate that Valley View is living the Pathway standards and earning the designation. In total, 87 percent of Valley View nurse completed the survey, and exceeded all benchmarks. “Valley View is committed to nurses, to what nurses identify as important to their practice and to valuing our nurses contributions in the workplace. This designation confirms that nurses at Valley View know their efforts are supported,” said Valley View Chief Nursing Officer Sandy Hurley. The burnout of healthcare professionals has been a hot topic in recent years as more and more workers are leaving the profession. According to the Robert Wood Johnson Foundation, in 2014 an estimated 17.5 percent of newly-licensed RNs leave their first nursing job within the first year, and one in three leave within two years. Hugo hopes the designation will offer a highly visible stamp on the quality of Valley View’s nursing program. “This designation is a validation of our practice environment, our culture, and the way that nursing is supported here at Valley View,” says Hugo.